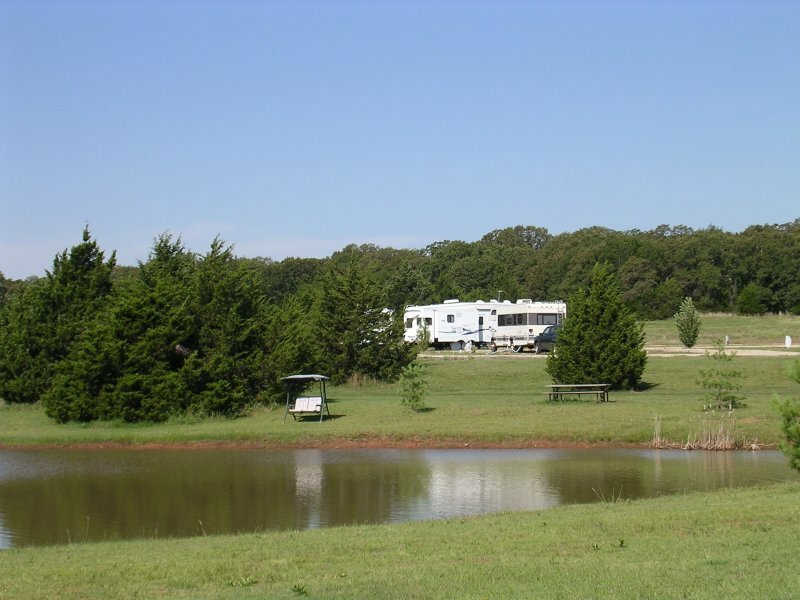 Located just minutes from Lake McMurtry, Lake Carl Blackwell, Karsten Creek Golf Course, Oklahoma State University and all the rest that Stillwater has to offer, Cedar Crest is situated on 40 acres in a natural setting and offers modern amenities. 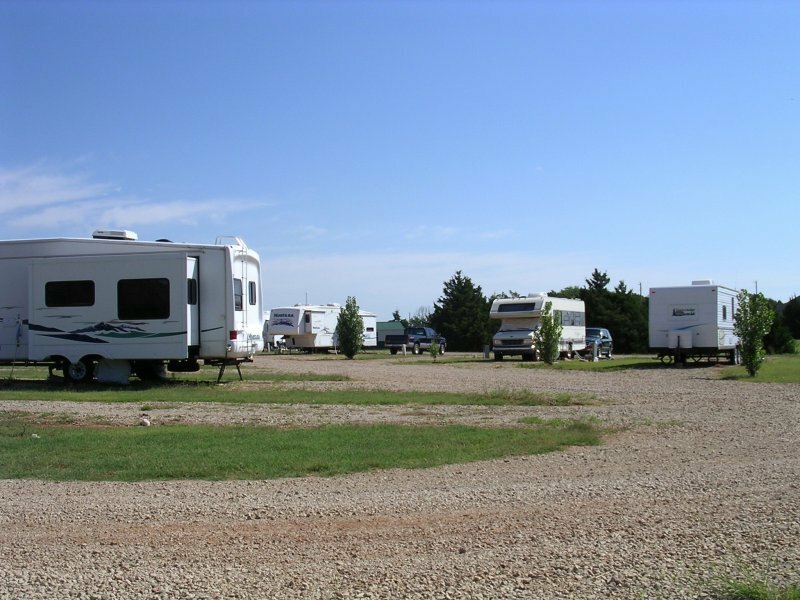 Cedar Crest RV Park features 29 spacious hookups, with 22 pull-through sites. 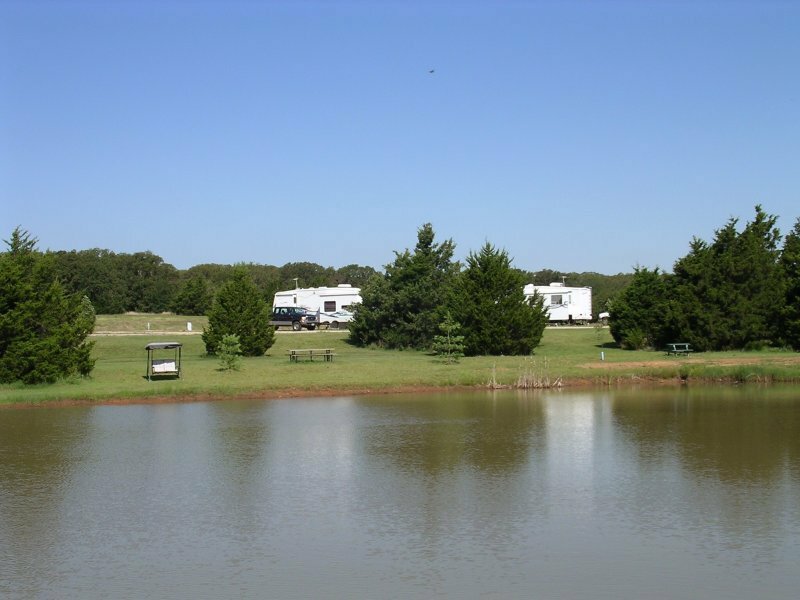 Enjoy the quaint picnic area, wooded walking trails or the stocked fishing pond. 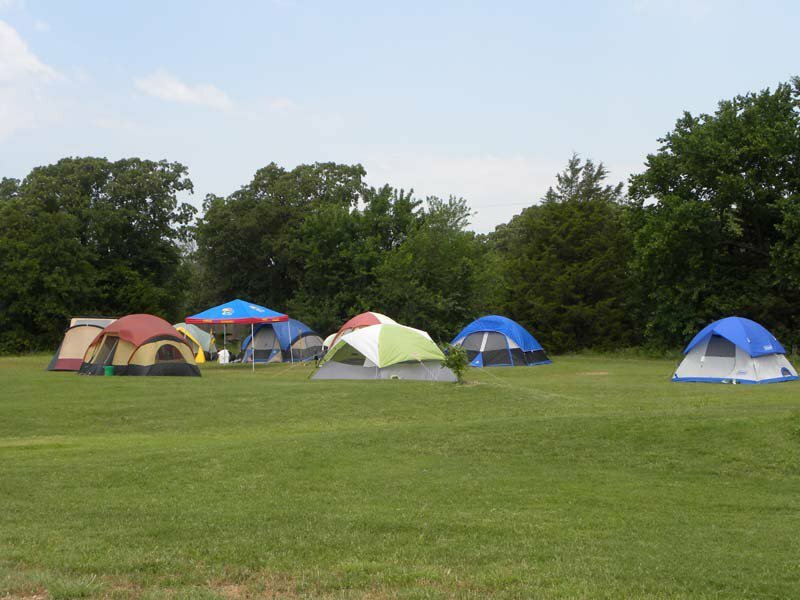 The park also offers convenient on-site laundry and a general store. 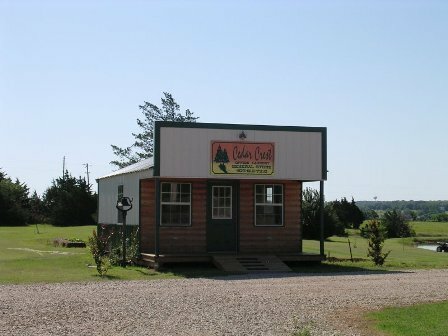 Make sure to check out the all wood, country-style cabin that is quiet, clean and perfect for a weekend getaway. This cabin features a queen-size bed in the master bedroom, a full-size sleeper sofa and a loft with two twin-size beds. Relax on the cozy front porch and take in the spectacular country view. Friday and Saturday: $125 per night While every effort has been made to ensure the accuracy of the pricing listed above, prices are subject to change without notice. From Stillwater, take Hwy 51 west for 5 miles, then half mile north to park.